Participation in the Public Employee Retirement System of Idaho (PERSI) Base Plan is required for all employees who are scheduled to work at least 20 hours per week for more than 5 or more months per year. The employee contribution for general employees is 6.79% and is deducted from each paycheck. The employee contribution for law enforcement employees is 8.36% and is deducted from each paycheck. The PERSI Choice 401(k)Plan is an optional defined contribution retirement savings plan. Participation is voluntary and allows the employee to contribute a portion of his/her salary on a tax-deferred basis via payroll deduction. PERSI also offers death and disability benefits. Competitive medical, dental and vision benefits are provided for the employee, their spouse and dependents at a nominal cost to the employee. Premiums are deducted from the employee’s paycheck on a pre-tax basis. Premiums can be reduced by participating in the Small Changes, Big Rewards wellness program. The US Department of Labor Poster - "Employee Rights Under the Family and Medical Leave Act"
Accruals for EMS is different. Please refer to EMS portion of the personnel manual. This program offers a variety of help in areas such as legal, financial and the confidential counseling program available at no cost to the employee. 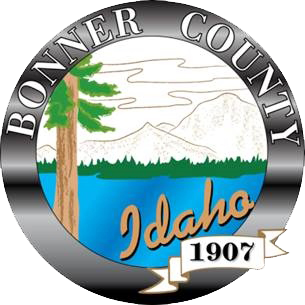 Bonner County employees are able to receive up to 6 sessions per incident per our benefits program year. It is available to the employee and his/her dependents through Reliant Behavioral Health. The EAP contact toll free number is 1-866-750-1327 and our organization name is Bonner County. You can also visit their website www.MyRBH.com consult your Bonner County Employee Enrollment Information for Access Code. Other insurance policies (accident, disability, Life Insurance, etc) are available on a pre- or post-tax basis through various vendors. Employees now have the opportunity to set up their Delta Dental Account App on their personal devices – entitled “Delta Dental On The Go”. This app allows you to download your ID card, access your account information, look up benefits information, and search for dentists. All you need to do is to set up a website subscriber account.